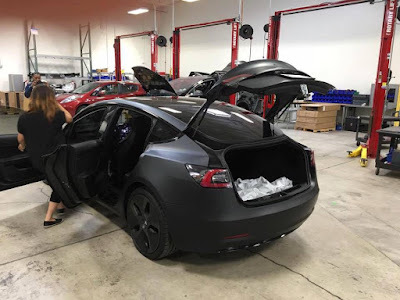 After spotting the Model 3 in matte black on Interstate 280 in California two days ago, pictures of the car in question emerged today - via Reddit - parked inside one of Tesla's research facilities. 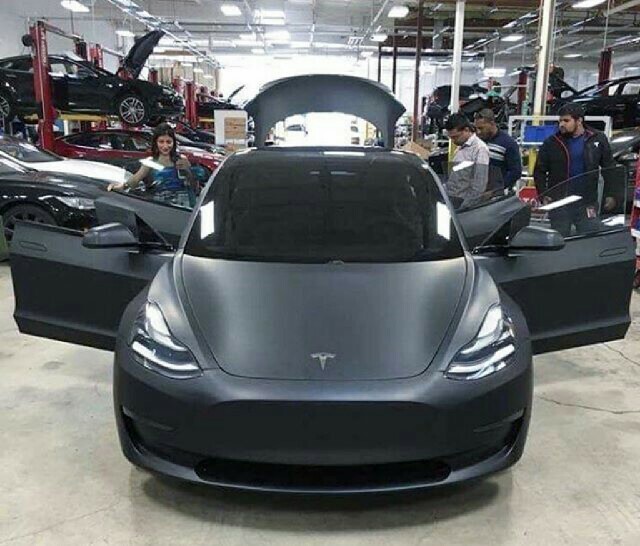 It is evident from these higher quality pictures that this is still one of the prototypes that were displayed during the unveiling. 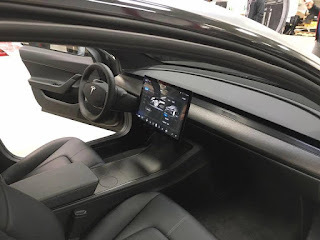 The car still manifests a minimalist dashboard, cluster free, with a 15 inch touchscreen display in landscape mode in the middle, driving us to believe a HUD system will be implemented in the final version. Evident as well is the presence of a center console with two cup holders covered in black. In addition, a large door pocket allows the drivers to store their belongings, something that is missing on the Model S.
A clear view of the rear hatch shows the opening to be reasonably wide enough. It is still early to determine if the design of the vehicle will remain the same by late 2017, but so far we like what we see. Tesla currently holds almost 400,000 reservations for the Model 3, much more than what the company and its shareholders anticipated. During Tesla's first quarterly report of this year, the company decided to advance its 500,000 total unit build plan (including Model S and X) that was scheduled for 2020 by two years to 2018, confirming Model 3 production and deliveries to remain on track for late 2017 launch. 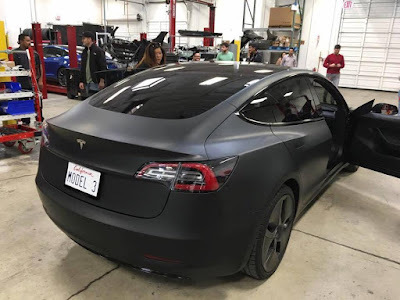 Musk himself then clarified that a supplier parts' deadline has been put in place for July 2017 while the first 100,000 to 200,000 units will be out the production line by the end of that year.